Motorola updated their timeline for device updates this morning, finally revealing their plans to push Ice Cream Sandwich. So far, the list is not going to excite any of you. 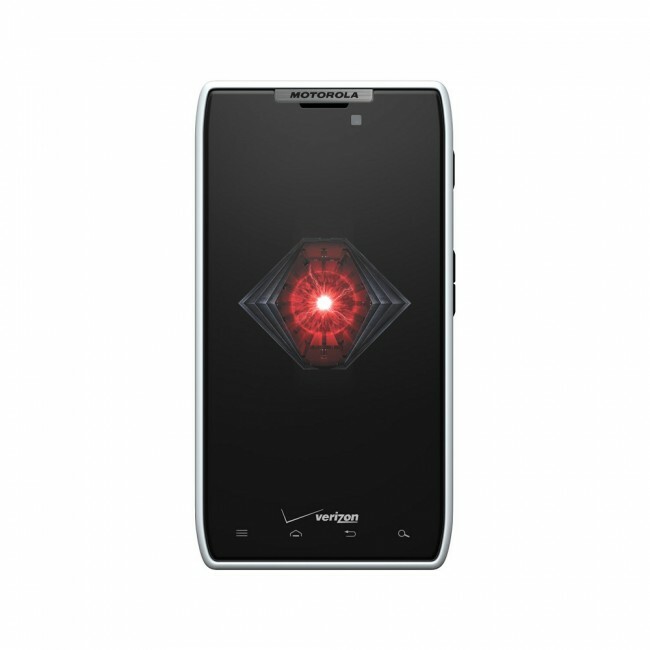 As far as U.S. devices go, none of them on Verizon have specific details and are currently “in evaluation.” You will see that the Atrix, Atrix 2 and Photon 4G will all receive Android 4.0 in Q3, but the RAZR, RAZR MAXX, Bionic, DROID 4 and almost any other device tied to Big Red has not been given an expected rollout date. In fact, those non-VZW phones are all in development while the ones you all care about are still in the “planning” phase. Why is that? Tough to tell. We were all hoping that the RAZRs and the Bionic would see this major update first since they were released just before Ice Cream Sandwich went live. Q3 though for many of these? Seems so far away. Then again, Moto did provide an outlook into how they update phones which we calculated to be about 6 months. I guess that would put us right around the end of Q2 or early Q3. 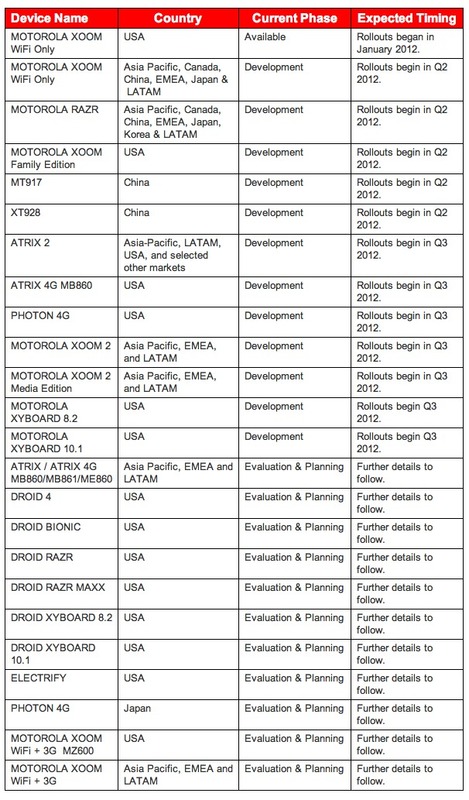 Someone figure out why the Atrix series and the Photon would be up first ahead of the DROID brand. Carrier, maybe? Hoping to know more very soon.